- The Electrical Equipment (Safety) Regulations 1994. We can arrange for verification of compliance using one of our trusted fully qualified Gas Safe Engineers or Electricians. EPC – All rented properties must have a valid EPC – Energy Performance Certificate graded A – E prior to advertising. Once carried out these are valid for 10 years. We can arrange this for you. In the event that your property is rated F or G and qualifies for an exemption then we will need you to register the exemption with the PRS register and provide us with your exemption reference number. Identification Checks – In order to verify the identity of our Landlords we have a duty of care to obtain a copy of Identity documents from Landlords - Usually a current valid signed passport or Current UK photocard driving licence. A full list is available on request. In some cases, such as Non-Resident Landlords, we will also carry out a Land Registry search to confirm proof of property ownership in order to comply with the prevailing tax legislation. Tenant Right to Rent Checks – In order to comply with Immigration Law Landlords are required to carry out Right to Rent checks on all Tenants over the age of 18 prior to the commencement of a new tenancy. In most cases this will simply mean viewing an original copy of the Tenant’s passport or a combination of 2 other approved documents in their presence. Landlords are then required to take a copy, certify the check date and keep a copy on file until a year after the expiry of the tenancy. We carry out these checks on your behalf but in the case of Introduction only Landlords we suggest that you also carry out these checks and keep your own records as the 7 years we hold files for, under GDPR, may expire before the tenancy ends. Mortgages – If your property is mortgaged you should ensure that you have obtained the mortgagee’s consent to let the property. They may wish to see a copy of the tenancy agreement. Leaseholds – If you are a leaseholder you should check the terms of your lease to ensure that you do not require consent to let your property. Sub-letting – If you are a tenant you will need your landlord’s permission to let the property. Insurance - You should check that you are suitably covered for letting on your Buildings & Contents Insurance. Failure to advise your insurers may invalidate your policies. Taxation – Under the terms of the Taxation of Income from Land (non-residents) income tax at the current rate will be deducted by us from rents received for overseas landlords unless we receive an Exemption Certificate. We can arrange this for you. UK Resident Landlords are responsible for completing the relevant section of their tax return, declaring all income from rental property. Further information can be obtained from HM Revenue & Customs. We recommend that all landlords seek advice from and retain the services of a qualified accountant before and during letting. Council Tax – The occupiers are responsible for the Council Tax. You should inform your local Council Tax office if you are leaving a property. General Condition – Electrical, gas, plumbing, waste, central heating and hot water systems must be safe, in good working order and comply with gas, fire & electrical safety legal requirements. Maintenance and repairs will be at the landlord’s expense. We will arrange these repairs under our Full Management Service. EPC - Energy Performance Certificate - From 1st October 2008 a Landlord will be legally required to provide an EPC to all prospective Tenants on request. This certificate will rate your property's energy performance and will make recommendations about how to improve energy performance. The certificate will be at the Landlord's expense but will be valid for 10 years. We can arrange for the EPC to be carried out by a qualified DEA - Domestic Energy Assessor. From 1st April 2018 all non-exempt properties must have an EPC rating of A – E. Exempt properties rated F or G must be registered on the PRS register and an exemption reference number obtained. Gas Safety Check – Landlords and their agents have a statutory duty to have a safety check carried out on all gas installations and flues annually or within 12 months before the start of a new tenancy. This check must be carried out by a Gas Safe registered engineer who will on completion supply the Landlord’s Gas Safety Certificate. We will arrange this for you under our Full Management option. If you select our Introduction Only option then you must arrange for this certification. Failure to follow gas safety requirements is a criminal offence and can be punished by fines or imprisonment. Smoke Alarms & Carbon Monoxide Alarms – Landlords must provide all rental properties with working smoke alarms & carbon monoxide alarms fitted compliant with all prevailing regulations. The Health and Safety Executive has recently updated legislation regarding the control of legionnaires’ disease. This revision means that the legislation now applies to residential lettings, which were not covered previously due to their size. All residential properties which are rented out must now have a risk assessment undertaken to determine the risk of legionella, which then allows landlords to implement a suitable control scheme. Under general health and safety law, as a landlord you have health and safety duties and need to take suitable precautions to prevent or control the risk of exposure to legionella. Carrying out a risk assessment is your responsibility and will help you establish any potential risks and implement measures to either eliminate or control risks. To identify risks in your water system you, or a competent person who understands your water systems and any associated equipment, should establish any possible exposure to legionella risks, as part of the risk assessment. Under our Full Management option - We have appointed a qualified and experienced company to carry out risk assessments on behalf of our landlords. All assessment & control costs are payable by the Landlord and will be deducted from rents. We will require a signed disclaimer in the event that you do not wish Scott Owen Lettings Limited to manage your legionella compliance. Under our Introduction Only option – The Landlord is fully responsible for Legionella Control & Compliance. Electrical Duty of Care – Although there are currently no compulsory regulations in relation to Electrical Testing on a property, we highly recommend all landlords agree to the relevant electrical testing to ensure that their property complies with The Electrical Equipment (Safety) Regulations 1994. We can arrange this for you under our Full Management option using a trusted fully qualified electrician. Appliances – Any appliances such as ovens, washing machines, and dishwashers must be in good working order. Any appliance left at the property by the landlord will be the landlord’s responsibility to maintain and test where appropriate. Instructions for the Tenants – Please leave any operating instructions that you may have for any appliance, central heating etc. at the property. Mail Forwarding – We suggest that if you are leaving a property that you arrange a mail redirection via the Post Office. It is not the Tenant’s responsibility to forward on your mail. Inventory – It is vital that you have an Inventory and a Schedule of Condition prepared at the start and end of any tenancy. This will prevent any misunderstandings and avoid any disputes at the end of the tenancy. It will be impossible for the Landlord to prove any loss or damage to the property without this documentation. This is compulsory under our Full Management option & we will deal with this for you. With tight legislation surrounding the return of tenancy deposits these documents are crucial. Property Condition Reports and Visits - We are not surveyors. The condition report we compile prior to letting is on a purely visual basis. We strongly recommend that owners collaborate with us in drawing up the inventory/report. Wherever possible the Landlord should be present at compilation. In the absence of an owners’ signature the pre-tenancy report is deemed correct at our absolute discretion. The accuracy of this document is crucial to the fair apportionment of deposit at the end of a tenancy. It is also the reference point for property checks. Property checking visits during the tenancy are on a visual basis only. We cannot carry out checks for any latent, inherent or structural problems and we do not under take movement of heavy items such as beds, wardrobes, sofas or appliances. Cleaning - We can arrange to have the property cleaned if necessary prior to letting. Each property will be appraised based on the work needed. Please request a quote if you require this service. Obtaining a tenant’s personal reference, employer’s reference where necessary & landlord’s reference where necessary. If required we can forward copies to the landlord prior to entering into the tenancy as agents for the landlord. If the landlord does not wish to see the reference a tenant shall be considered suitable by us at our absolute discretion and we shall not be liable for any loss or damage arising as a result of a tenant’s unsuitability. 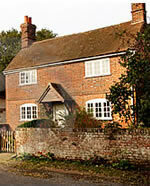 Tenancy Agreements - We draw up the tenancy agreements for each party. The Assured Shorthold Tenancy Agreement within the meaning of Chapter 2 of Part 1 of the Housing Act 1988 is used. Sample copies are available. We make a charge for this service. All fee prices are available on request. On the above basis we cannot guarantee to indemnify owners of property against the unauthorised or unlawful action of the Tenants. It is always the owner’s responsibility to take legal action and to instruct a solicitor. We are not qualified to give legal advice. IMPORTANT INFORMATION on Security Deposits - With the Tenancy Deposit Scheme introduced on 6th April 2007 the landlord or their agent has a legal duty to safeguard the tenancy deposit under one of the government approved schemes within 30 days of receipt. The tenancy agreement will clearly state who is responsible for protecting the deposit. There are harsh penalties for failing to meet the legislation and it will not be possible to serve a section 21 notice unless the law has been complied with. How the deposit is handled depends on which service you take up with Scott Owen and the options are detailed on the Services Page.